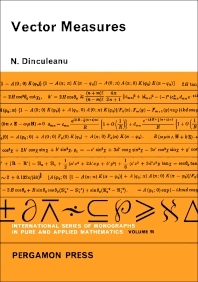 International Series of Monographs in Pure and Applied Mathematics, Volume 95: Vector Measures focuses on the study of measures with values in a Banach space, including positive measures with finite or infinite values. This book is organized into three chapters. Chapter I covers classes of sets, set functions, variation and semi-variation of set functions, and extension of set functions from a certain class to a wider one. The integration of vector functions with respect to vector measures is reviewed in Chapter II. In Chapter III, the regular measures on a locally compact space and integral representation of the dominated operations on the space of continuous functions with compact carrier are described. This volume is intended for specialists, researchers, and students interested in vector measures.